Well, this experiment didn't quite work. Though I did learn from it. 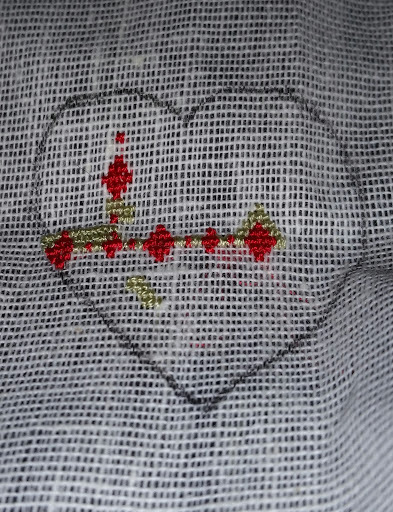 Cross stitch does, indeed, look better on even weave fabric. At 45 stitches per inch, mistakes show up, remarkably, clearly. And, I can stack magnification. I can use my reading glasses, with additional magnification clip-ons and use my magnifying visor. I have a focal distance of about 2 inches, but everything is clear. I think this fabric will work well for future Or Nue projects.